Flyer WP has born: Flyer style with WordPress simplicity. A variety of services packaged for different needs in creating and maintaining a website. 3 packages are available for now: Basic, Advanced, Premium. 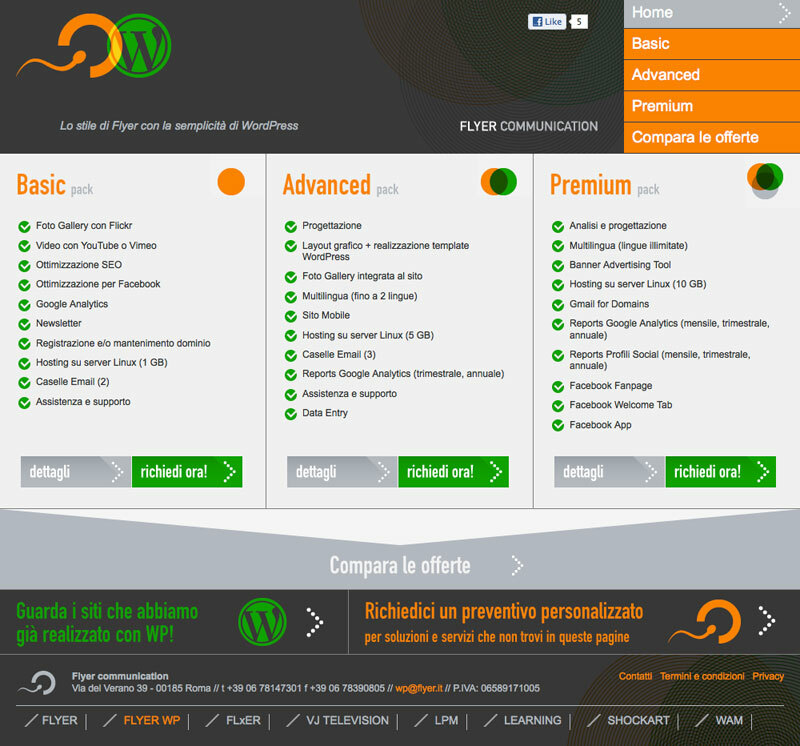 You can view services and features on wp.flyer.it, compare the packages, and eventually request the desired package or more informations. Flyer WP itself has been created with WordPress!